A text exchange shared by Iowa college student Lydia Breunig is going viral, and for good reason: it’s one of the funniest things I’ve read all week, and I know funny, people! I basically live on (in? Under? Atop?) the Internet! 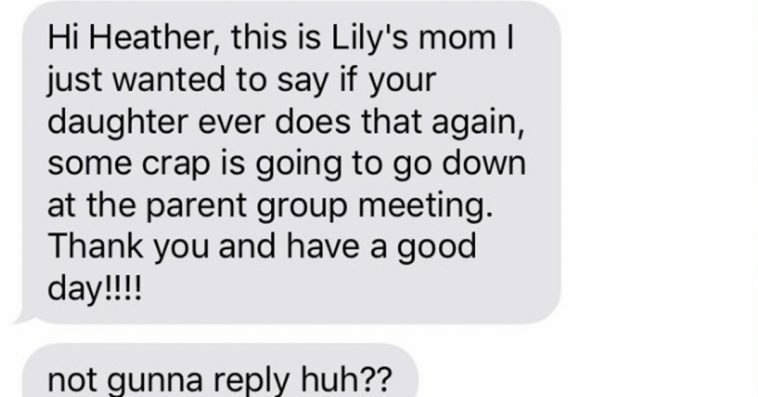 Breunig got a very threatening text message several days ago from a woman we only know as Lily’s mom. Obviously, Lydia was not Heather. But she still got down to the bottom of Lily’s mom’s beef, and, it is truly incredible and I love it. 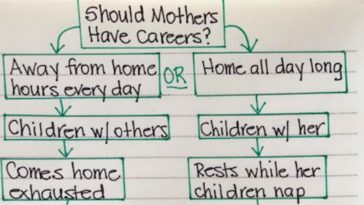 The tweet quickly blew up, with many people emphasizing Lily’s mom’s greatest hits, writing “me as a mom,” and blasting Lydia for having her phone at 1%.